HBO’s always been one of the more permissive purveyors of premium cable, shrugging off the sharing of HBO Go passwords because hey, at least it means you’re watching. 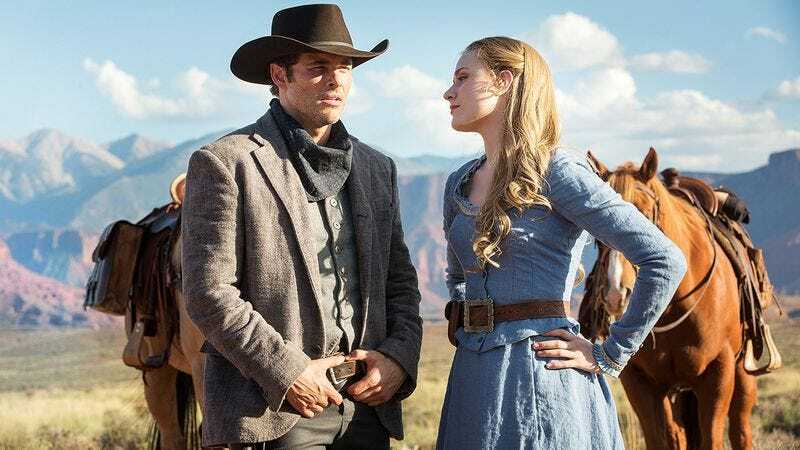 Now the cabler’s taking that indulgent attitude even further with an “advance premiere combo” that features early looks at Westworld, Divorce, and Insecure. So, subscribers (and their closest friends) can get a jump on their Sunday viewing, leaving that much more time for family dinners and The Simpsons. The second episode of Westworld is currently available via HBO On Demand as well as HBO Now and HBO Go. Titled “Chestnut,” it introduces two new outsiders to the pernicious playground. Sarah Jessica Parker and/or Thomas Hayden Church fans who are eager to witness their fictional marriage crumble can also get an early look at the premiere, which is also set for Sunday. The premiere of Issa Rae’s refreshing new comedy Insecure is also streaming, if you can’t wait to meet the new iteration of Awkward Black Girl.